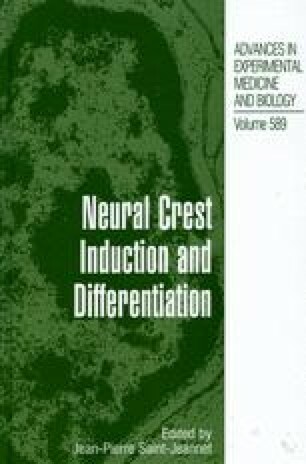 The formation of the enteric nervous system (ENS) is a particularly interesting example of the migratory ability of the neural crest and of the complexity of structures to which neural crest cells contribute. The distance that neural crest cells migrate to colonize the entire length of the gastrointestinal tract exceeds that of any other neural crest cell population. Furthermore, this migration takes a long time—over 25% of the gestation period for mice and around 3 weeks in humans. After colonizing the gut, neural crest-derived cells within the gut wall then differentiate into glial cells plus many different types of neurons, and generate the most complex part of the peripheral nervous system.